Converts from cooler tote to box cooler and collapses for easy storage. 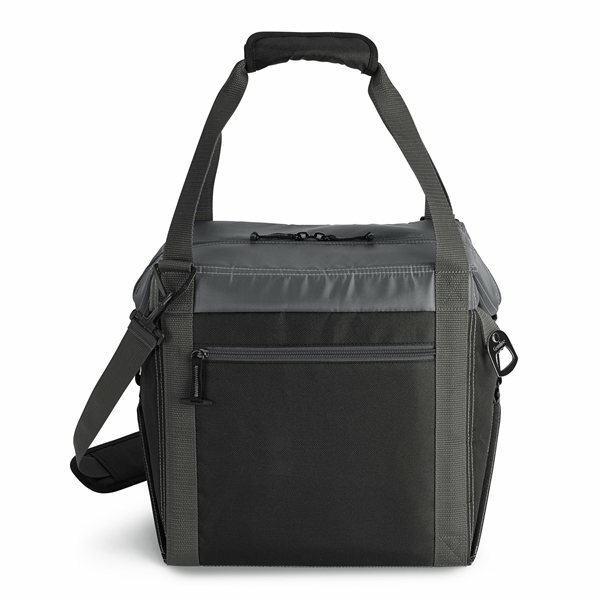 Padded, removable and adjustable shoulder strap. Box Cooler Dimensions: 22L x 1W x 20.5H. Fabric/Material: 420D Polyester, 600D Polyester. I was looking for an product we could include our gift bag in our trade event, and this was the perfect addition to our bag. Pros: Color and design. A quality product that I would recommend to anyone. Very nice I worked with Rosa and she was wonderful. She kept the communication going, she was knowledgable, she helped me, AND my product got here on time (even though I gave him very little time to work with). She was great! Loved this item. Given as a teacher gift to our school. The teachers really appreciated them.